Service Desk: Head up in the Clouds? With the Service Desk industry preparing itself for the much-anticipated step into ‘the cloud’, are we in danger of allowing technology to replace the human touch? In this session, four of the industry’s leading experts will debate the merits of cloud technology and discuss the potential impact it will have on our Service Desks. 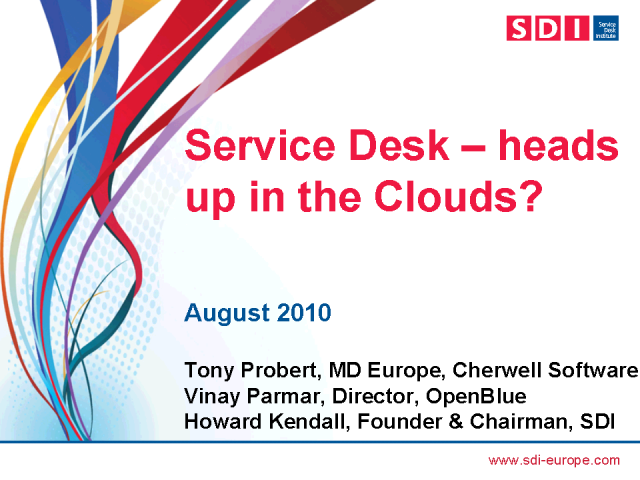 Title: Service Desk: Head up in the Clouds?